The first post-primary campaign finance reports show that the state's leading candidates have raised roughly a million dollars each in preparation for the November election. This database lists contributions to the major candidates in Maine’s 2018 gubernatorial campaign through the June primary election. 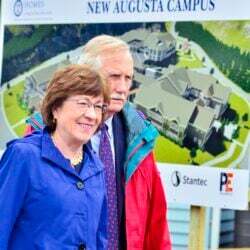 The data was drawn from campaign finance reports filed with the Maine Ethics Commission and include contributions made from April 1, 2017 through the end of June. All candidates are required to file a 42-day post-primary fundraising report before the end of the day July 24. As of 5:30 p.m. Wednesday, all candidates had filed their reports. Putin wants Trump to let him interrogate Americans. A Maine man is on his list.